← My sunny disposition is a little cloudy. Looks like Happy thought about going out of the barn, but changed his mind. 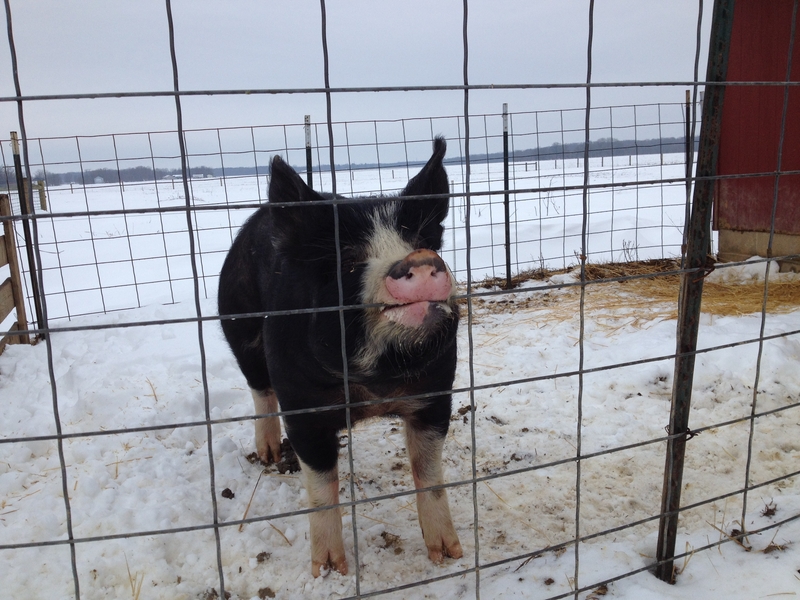 Lucky for Bernice’s tongue that it has warmed up! 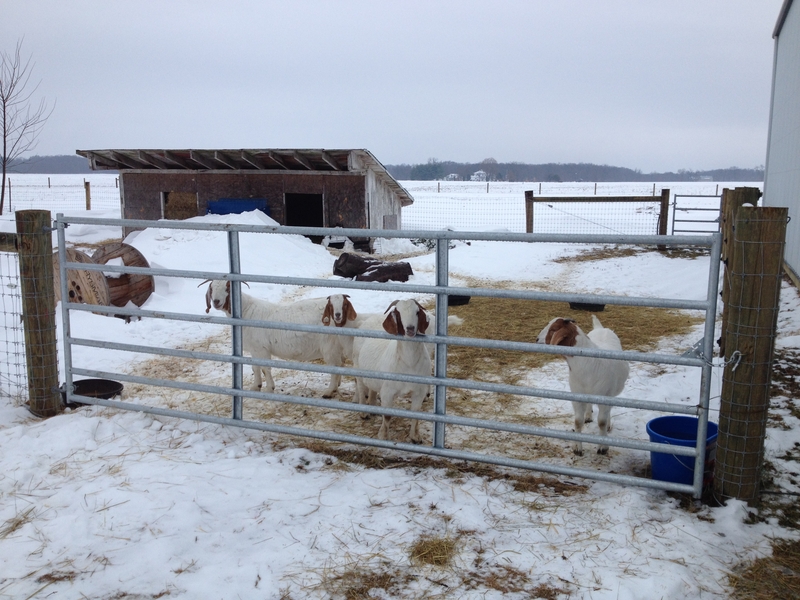 The goats are waiting for me at the gate again, instead of hiding in the barn. Sounds of melting all around today. …and a little stink-eye attitude. 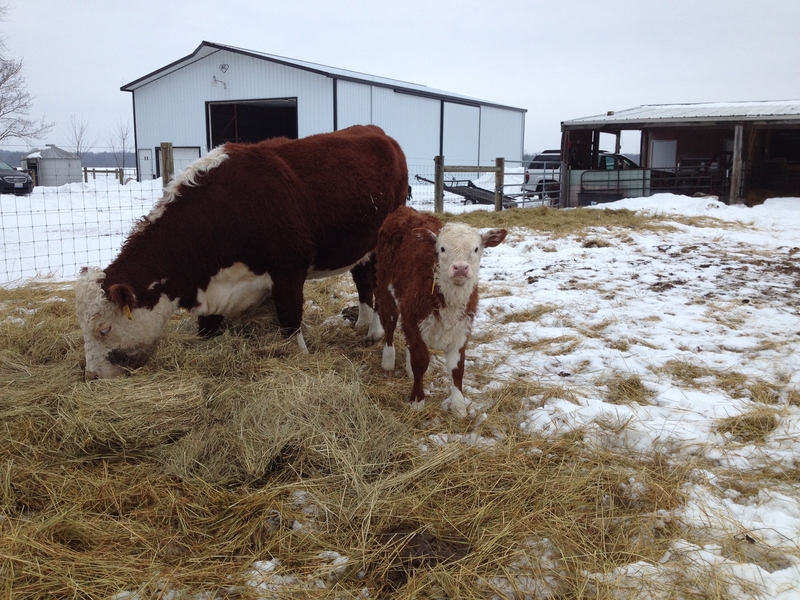 This entry was posted in Country Living and tagged Berkshire pig, Boer goats, Country life, Country photos, icicle, Illinois winter, melting, Photo Friday, Polled Herefords, thaw. Bookmark the permalink. Oh Bernice!!! I love that picture!!!! What a cutie!!!! Since it has warmed up, they are ready to play again. You are going to have mud, mud, mud, if it every warms up! Oh my – are we ever! It rained yesterday … now everything is slush! I’m worried about Pumpkin Pie. I think he’s going to be one of those animals, like my cat, with a bad attitude. As he gets older, he might even chase you. That is awesome! Thank you much! Great photos. Your animals look all so happy. Thank you! Now that it has warmed up, they are much happier! It does look like Happy made a U-turn! It’s nice to see things returning to normal–getting out and about. 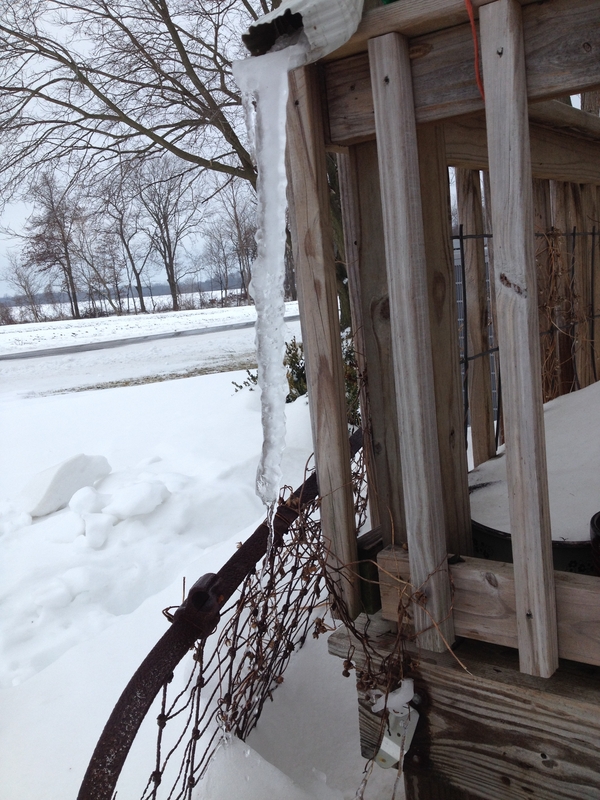 That’s quite a icicle you have there!